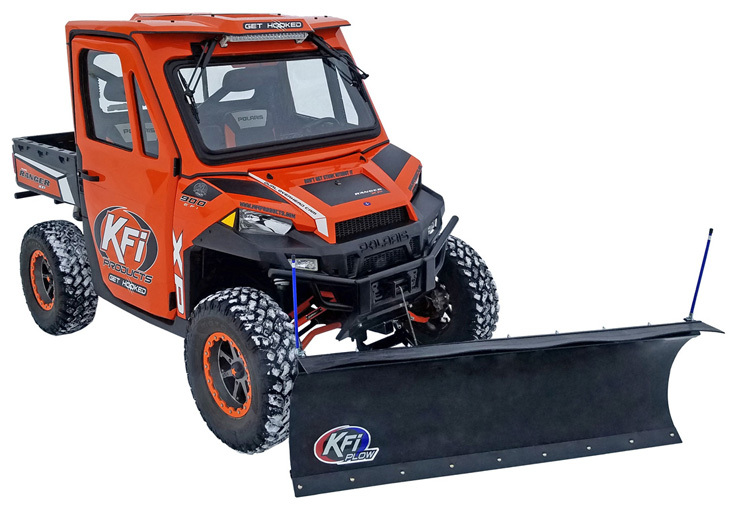 Conquer the snow with the Brand New KFI Pro-Poly System from Driven PowerSports. Featuring a rugged, American made Grade 50 steel construction with a flexible replaceable Heavy Duty Poly Face. Designed to throw even the deepest, heaviest snow while making it a smoother experience. 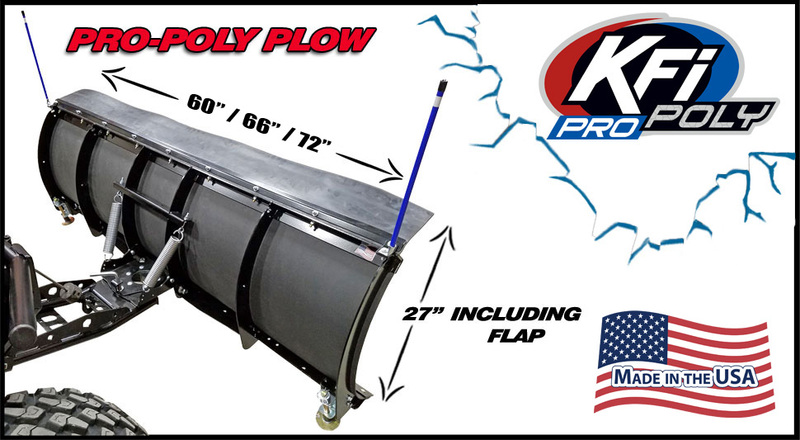 The Ploy Plow now comes with a towering 21″ Face allowing you to throw snow further, and build banks higher than ever before.